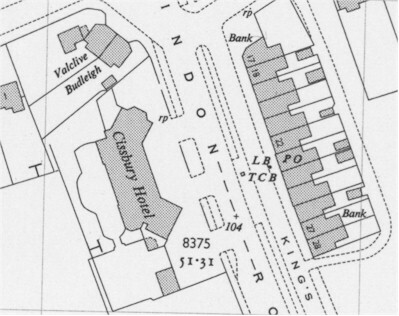 Situated on the A24 Findon Road known locally as the Findon valley shops, the Cissbury Hotel presented itself as an imposing structure designed for the modern day motorist of the time. The two angled 'wings' of the building ensured it was clearly seen by passing traffic, and the large forecourt invited easy parking. It was built by the Kemp Town Brewery who were responsible for many of the pubs in the Worthing area. The photograph dates from around 1965 but as yet we don't know when it was built. It was demolished (again date unknown) and replaced with flats. Apparently it became a popular music venue in 1968 when the local Worthing Workshop were unable to meet at The Norfolk.